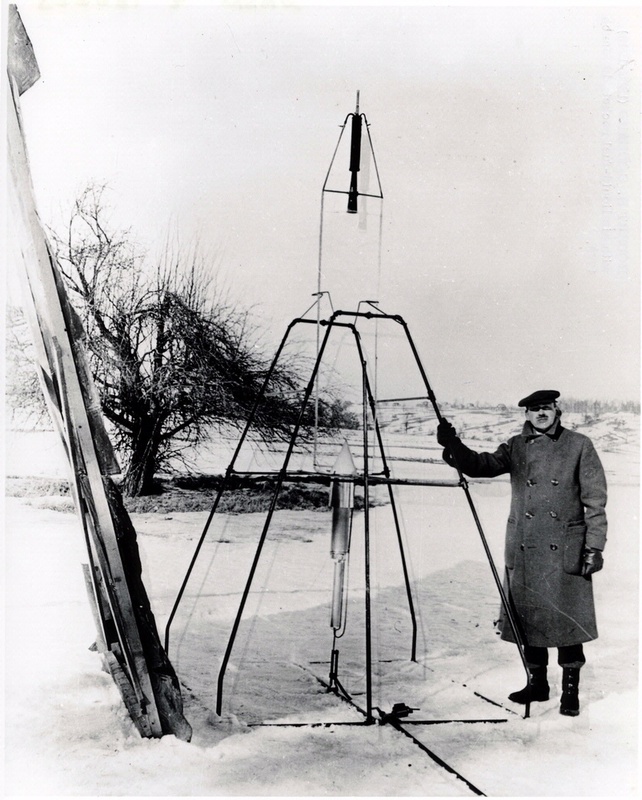 Robert Goddard was among the few people who independently discovered the rocket as the key to space before World War I, and he was one of three (along with Tsiolkovsky and Oberth) who worked out all the equations. He went on to create the world’s first flying, liquid-fuel rocket and made many other pioneering contributions to rocket technology. Sadly, Goddard’s desire for secrecy and his limitations as an engineer greatly limited his technological influence on later rocketry. But his impact on the world’s imagination was profound. 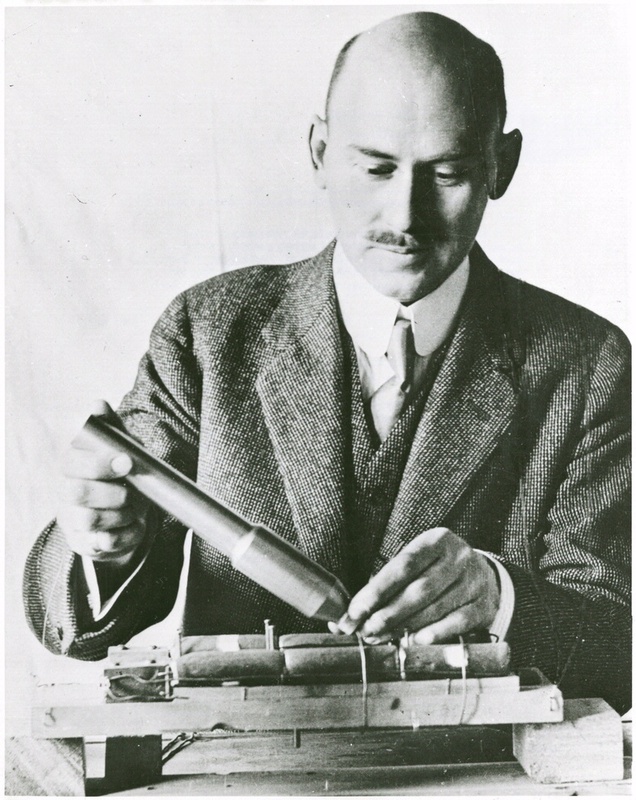 Robert Hutchings Goddard was born in Worcester, Massachusetts, in 1882. The phyicist determinedly pursued his spaceflight obsession. After reading a newspaper serialization of H. G. Wells’ The War of the Worlds, 17-year-old Robert Goddard had a vivid daydream while in a cherry tree in his parents’ backyard. He pictured ascending to Mars in a spinning spacecraft using centrifugal force. It began his lifelong obsession with finding a way to make space travel feasible. 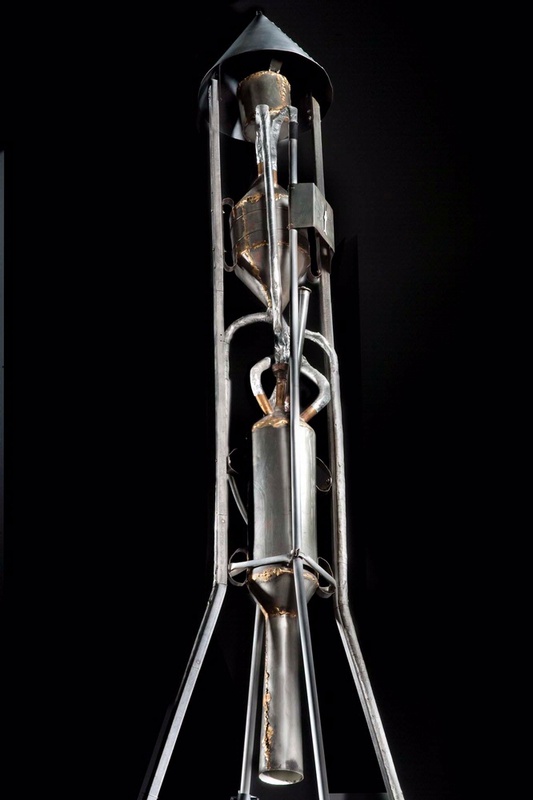 After years of investigation, Goddard realized in 1909 that the rocket was indeed the propulsion system for spaceflight. A talented physics student, he quickly worked out the equations. He knew nothing of parallel work then going on in Europe. 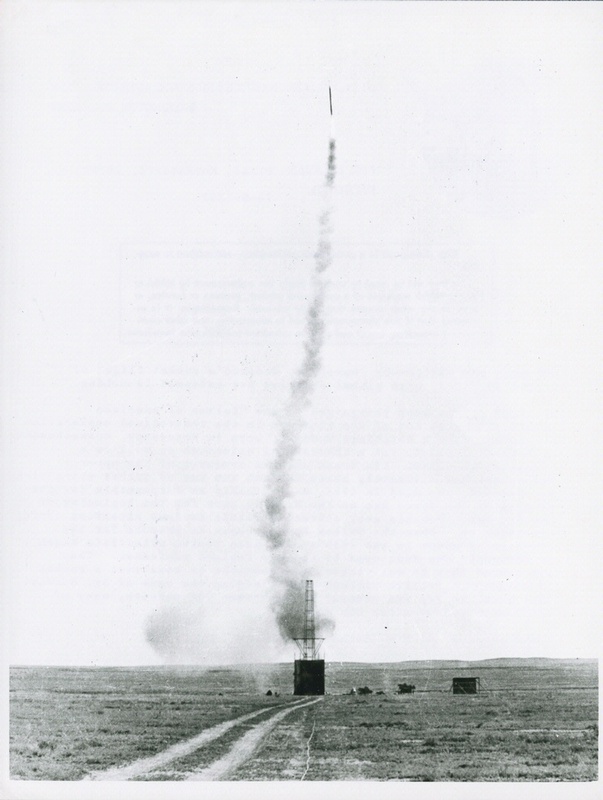 Goddard conducted small rocket experiments at Clark University in 1915–16. He demonstrated that a rocket could work in a vacuum. He also investigated how much flash powder a simple rocket would have to carry to be seen exploding on the night side of the Moon. 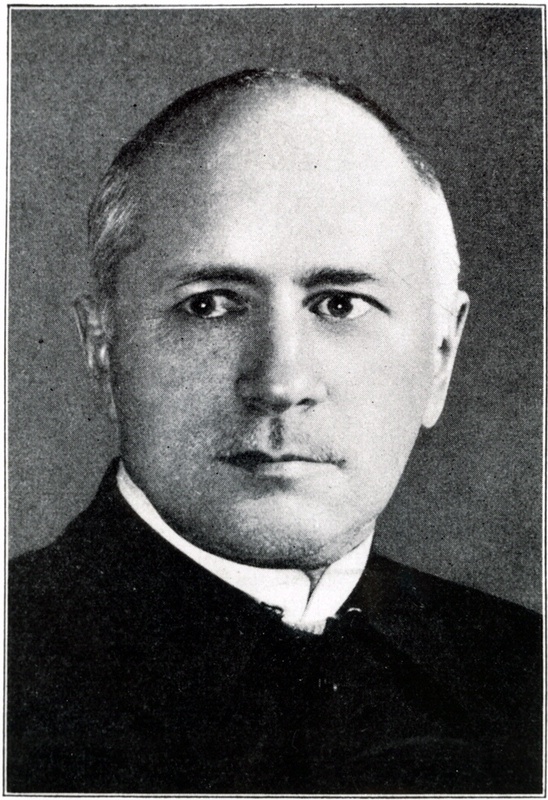 In 1916 he applied for a grant from the Smithsonian Institution. 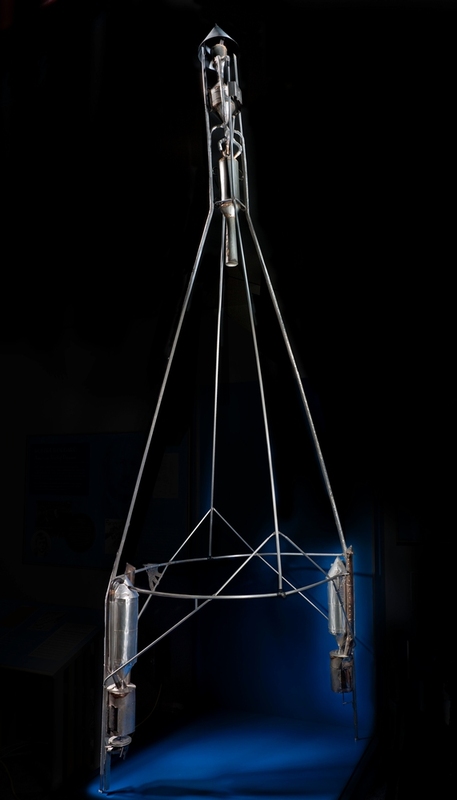 Charles G. Abbot, director of its Astrophysical Observatory, was excited by the possibility of launching instruments a hundred miles high with a rocket. 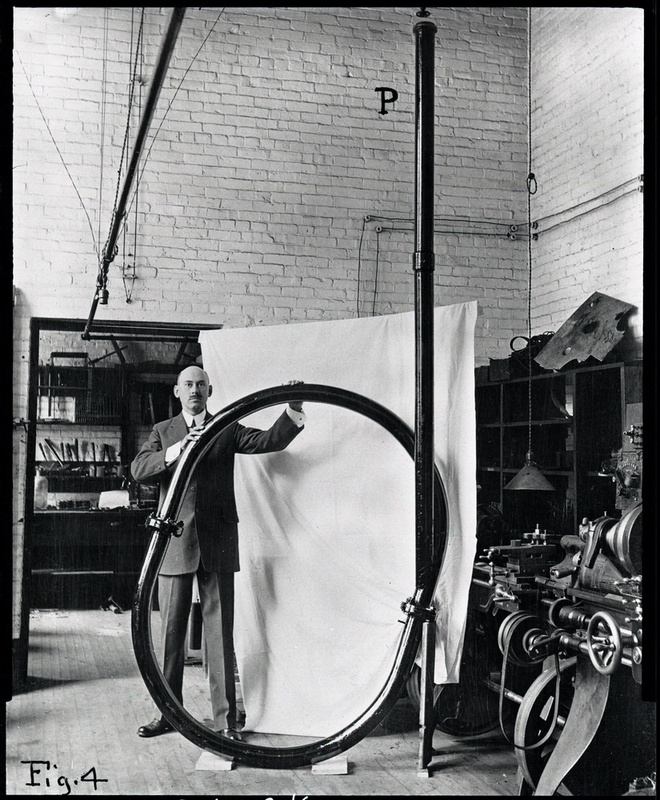 In 1917 the Smithsonian granted Goddard the substantial sum of $5,000. Goddard agreed to publish his research findings. A Method of Reaching Extreme Altitudes appeared as a dry 79-page Smithsonian pamphlet in January 1920. A Smithsonian press release, played up Goddard’s proposal to explode flash powder on the Moon’s night side with a rocket. The reaction was completely unexpected. Within two weeks the news spread around the world. The press sensationalized Goddard’s proposal. But space travel in science fiction and the media quickly changed. 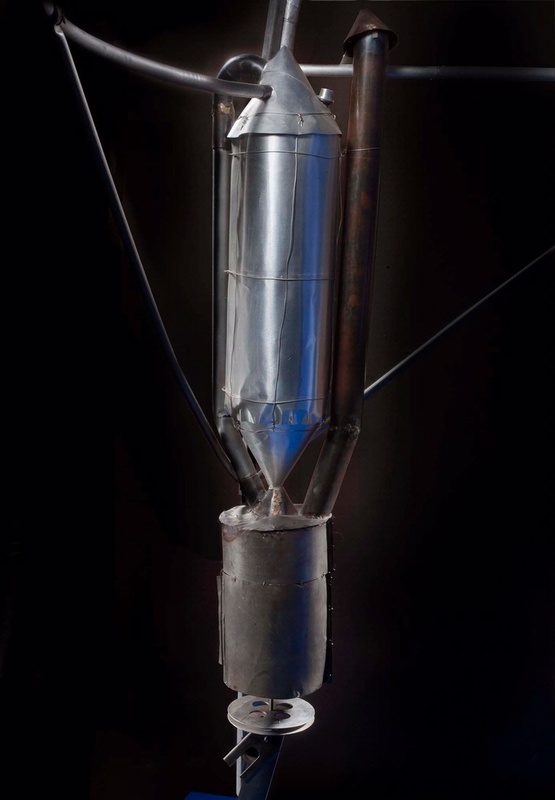 Thanks to Goddard, the rocket was clearly seen as the way to get into space. Goddard received unwanted worldwide attention again in 1929, when a crashing rocket attracted the local police and fire department. That publicity eventually attracted the interest of world-famous aviator Charles Lindbergh. Lindbergh brought the rocketeer’s work to the attention of pilot and philanthropist Harry F. Guggenheim. 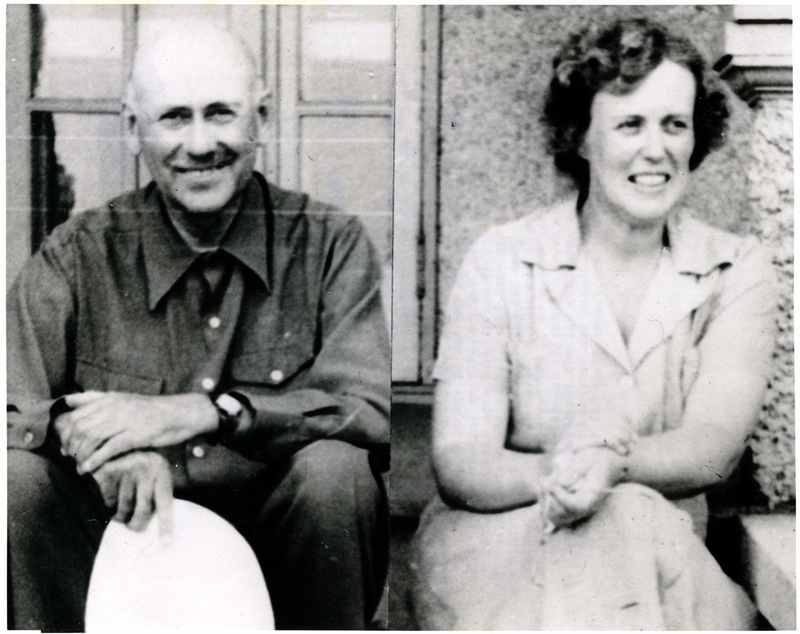 In 1930 Daniel Guggenheim granted Goddard $50,000. Goddard decided to move to Roswell, New Mexico, where the dry, warm climate would allow experiments year round. 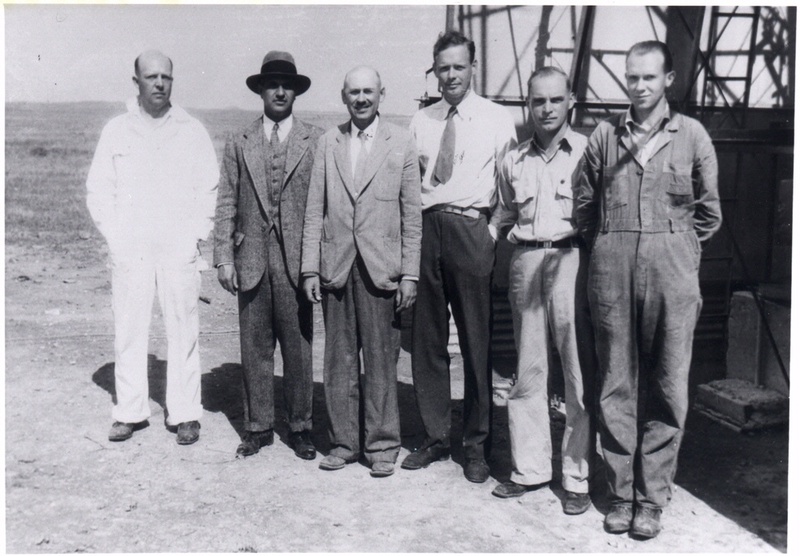 The generous support of Daniel Guggenheim and the Guggenheim Foundation enabled Goddard to scale up his rocket development in New Mexico in the 1930s. 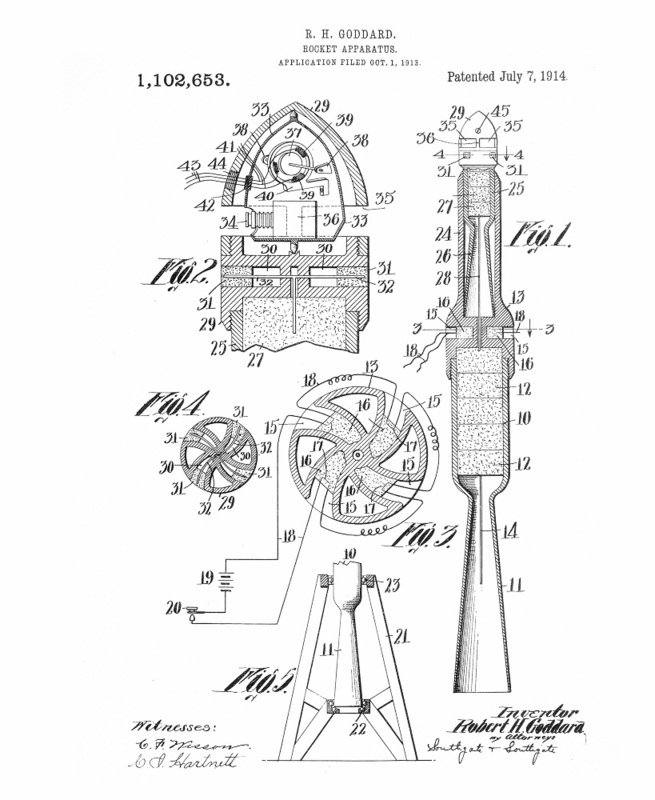 He scored a number of firsts, including the first liquid-fuel rocket to operate with gyroscopic control. 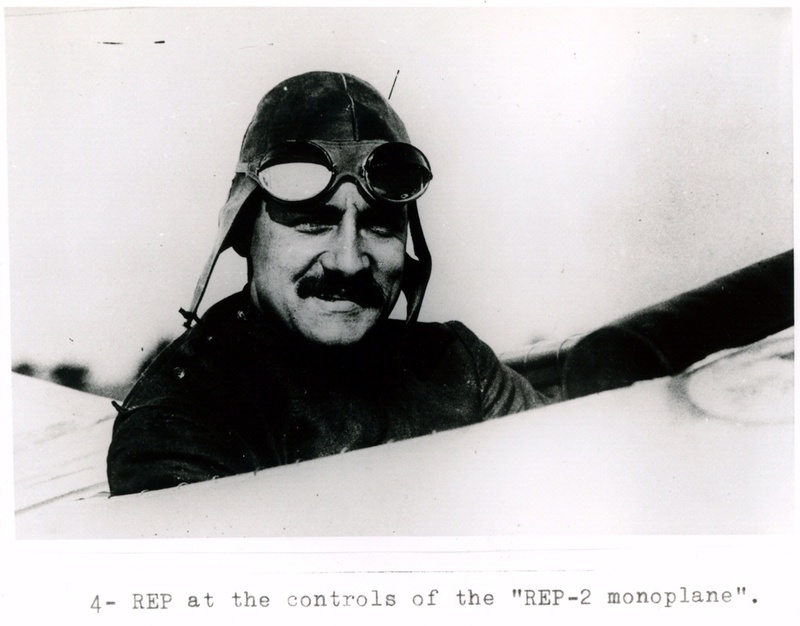 The highest flight he achieved, however, was only between 2,440 to 2,750 meters (8,000 to 9,000 feet) in 1937. 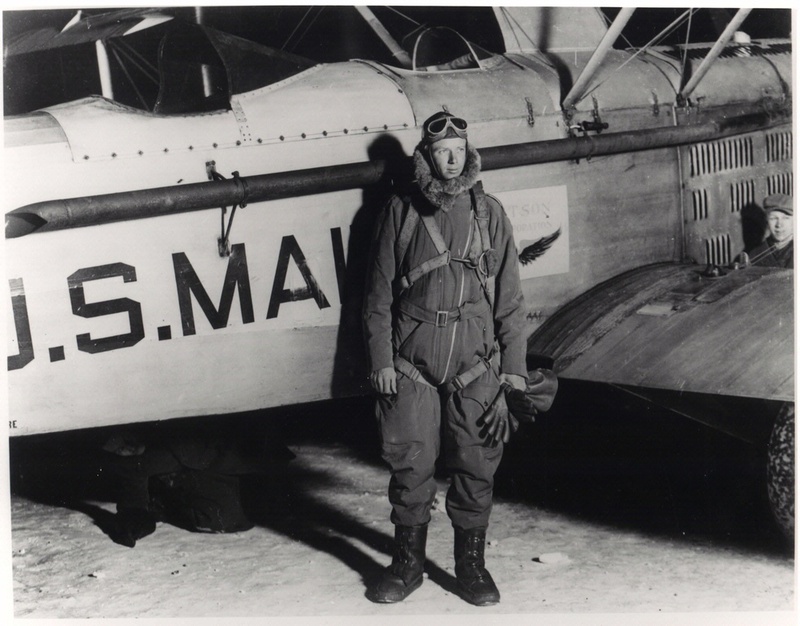 In 1942 the Navy moved him and his group to Annapolis, Maryland, not far from the Naval Academy. He experimented there on liquid-fuel motors during World War II. 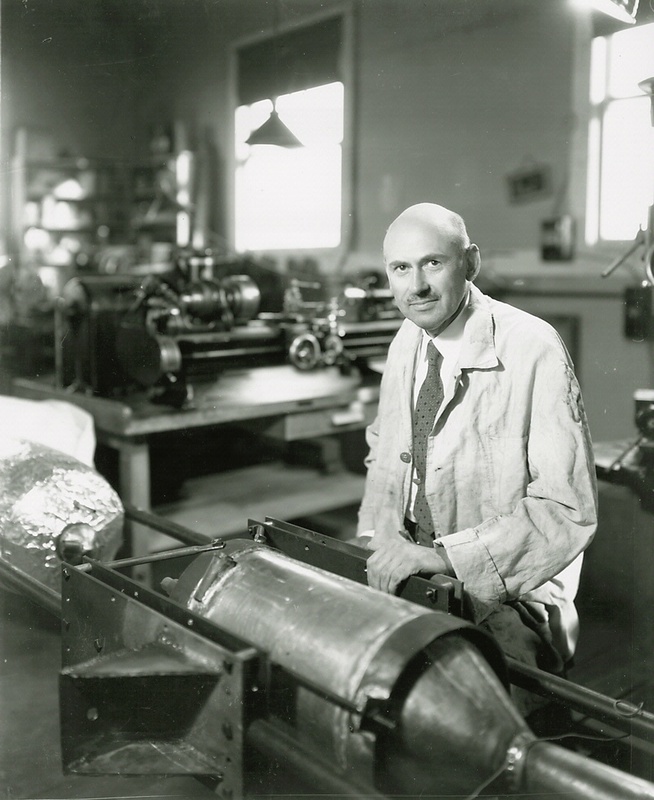 When Goddard saw the remains of a German V-2 missile in 1944, he became convinced the Nazis had stolen his work. 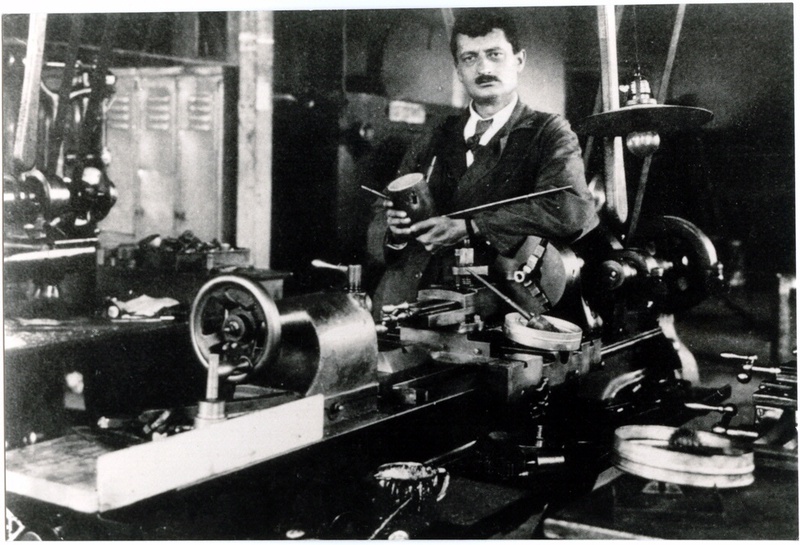 In fact, German rocket engineers knew little about what he did and started from the work of Oberth. Goddard refused to work with other groups and used only a small crew of assistants. As a result, he had little technological influence on American rocketry. But he left another legacy. A Method of Reaching Extreme Altitudes fundamentally altered the world’s perception of the rocket and of the feasibility of spaceflight. Goddard corresponded with Oberth, but was suspicious of him as competition.